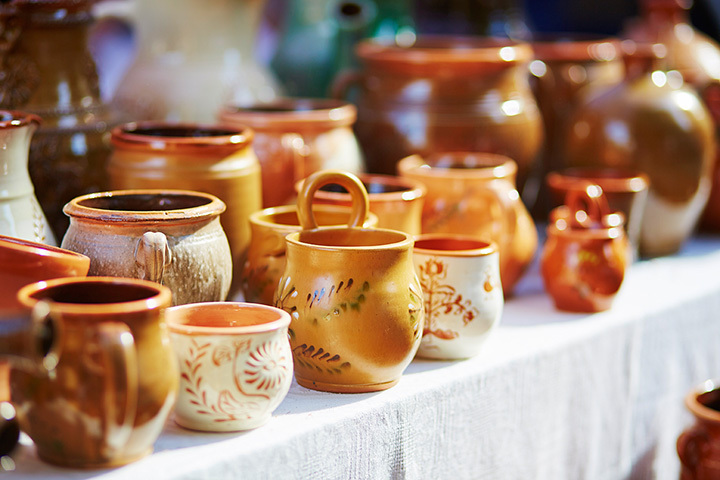 The 10 Best Craft Fairs in Wisconsin! With DIY crafts becoming more and more trendy, people are driving great distances to see hand-crafted works of art. There are tons of great new knick-knacks and decorations to explore at your local craft fairs. But if you’re looking for the best craft fairs in Wisconsin, look no further—the compilation is complete. The Holiday Craft and Gift Expo has a huge selection of arts and crafts from all sorts of vendors. Jewelry, quilts, woodworking, artwork, dolls, and décor are all on display for purchase. Their exhibitors also make gourmet candies, treats, bakery items, and nuts to really get in the holiday spirit. Get your holiday season gift shopping done in one place—The Great Hartford Craft Explosion. For 33 years, the Craft Explosion has been showcasing all sorts of holiday décor, jewelry, clothing, candles, wreaths, and floral arrangements. Boulder Junction’s annual Colorama provides a wonderful fall event. The craft show, mixed with a farmers market, and tasty foods for purchase deliver a huge crowd for the area. Purchase all sorts of handmade crafts, décor, and home goods for you and yours before the holiday season kicks off. The Art and Craft Fair located in Madison, Wisconsin, is free to the public. The craft fair is located at the American Family Insurance building and covers three entire floors of the building. All vendors and crafts are employers or retirees of American Family Insurance. The fair yields a huge turnout. Take a stroll through the New World Montessori School’s Swing into Spring Art Fair in Milwaukee. With over 30 local vendors, food, kid’s activities, and live music are all included in a small admission fee. You’ll find pottery, jewelry, photography, art, soaps, and other craft items for purchase. Get out of the house and do some shopping at the Hudson Cabin Fever Craft and Gift Show. February is the perfect time to stock up on some well-deserved gifts. Choose from purses, oils, candles, home décor, cold weather gear, clothing, and tons of online name brand vendors. Waukesha’s Spring Treasures Craft and Art Show. Craft Productions strives to provide unique, high quality hand crafted products to their customers. The craft fair is located at the Waukesha Expo Center to allow for their growing vendor list—which means more crafts for you! The Logan High School located in La Crosse, Wisconsin, holds an annual Spring Craft Show. Vendors from across the tristate area sell both seasonal and holiday crafts to those in attendance. The best part is all the proceeds go towards scholarships of the graduating seniors. Feel good about shopping for once! The All Saints Lutheran Church holds a Spring Craft Fair in Oak Creek. They welcome any and all types of vendors. For the past 30 years, crafts and handmade items have been staged at vendor kiosks tables for in purchase. Their longevity in the craft fairs, makes the Spring Craft Fair in Oak Creek a perfect pit stop. The SpringFest Arts and Craft Fair held at the Warner Park Community Recreation Center in Madison. Enjoy all handmade items from over 80 vendors in the Midwest. There is a small one dollar entry fee along with food and beverages available for purchase. Enjoy an entire morning and afternoon of browsing amazing crafts. View more Wisconsin Craft Fairs.